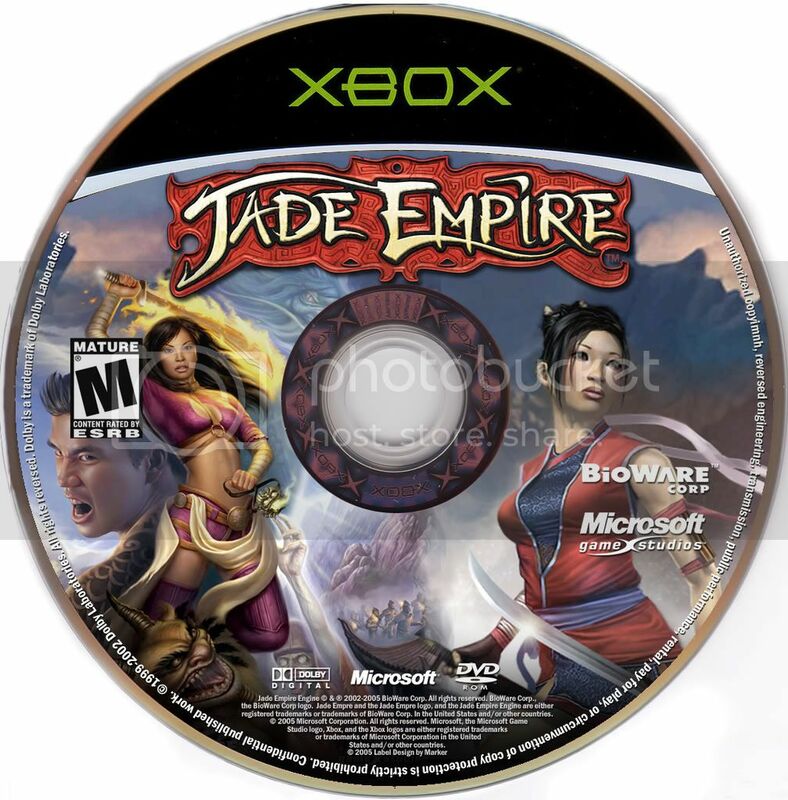 Comment on Ladykiller's Jade Empire Box Art / Cover. The Dev logos and ESRB are to tiny, but OMFG that is cool. #3, wow you copied my avatar from before. My longest project yet in terms of time and effort. Yet another shift in my style as I'm really digging the "Oriental" style since my previous Okami box, I felt that this was a nice way of continuing that style while at the same time, going for something different. My first design in an xbox temp and credit to ELCrazy for the awesome temp. Additional credit also goes to MARKER for advice on font choice and Star89er for a great logo render. Thanks guys! Much time and care was taken especially in the front. Every discernable piece of graphic element is its own separate layer. I wanted to portray that majestic Ancient China feel to it and I think I got what I was going for in the end. :) About the same amount of effort was put in the back as well, seen in the screenshots and an emphasis on the color "red" in the torn curtain as the prevalent Chinese color. Much work was put in the canvas background as well to compliment the box itself. All in all, I'm very happy how it turned out as this is also my last box till Spring Break. Best viewed in full, enjoy and cheers! Nice job make... love the colours, especially the yellow on the back! Excellent boxart... no faults there... guess that's another 10/10! BTW... remember I told you I did a custom disc of the game when it was released.. found it... here's what it looks like! You actually went through with it! w00t! Pure effing win, by the way. You hit the jackpot again. I love how all the graphics blend perfectly together in such a professional-looking way. ..and the style is great for the game. ..and I can see the thought put into typography. This one is realy great :) best of yours for some time. man.. this is exactly why you rock. Damn I nearly missed this. Outstanding work LK. do u mind giving me some of ur amazingness?huh do ya? Also I've made a small kit of this box available in my resource thread, if anyone's interested. This is what happens when you are at practice all day! You miss boxes like THIS! Every box you make reaches HoF! You must be really skillful! Awesome job. Exec: 0.1672039 © 2004-2016 VGBoxArt.com. All rights reserved. Crafted in San Francisco by Reed.